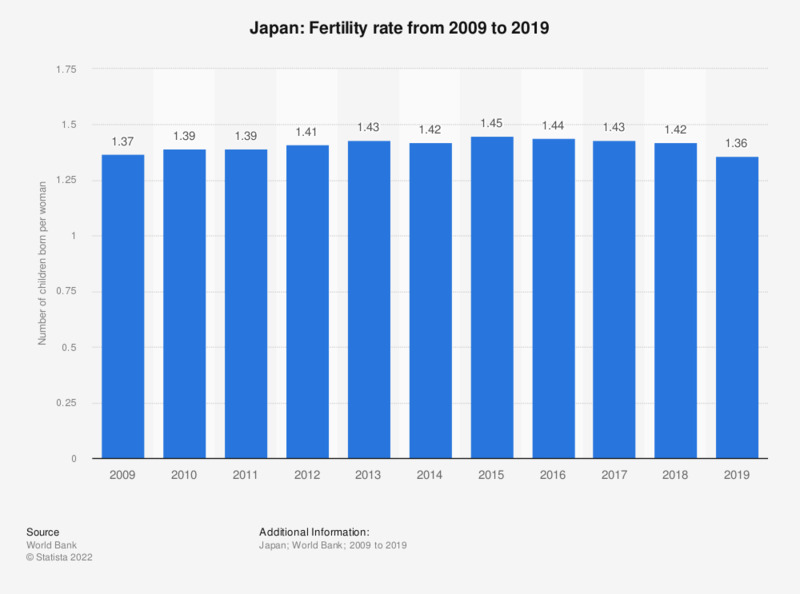 The statistic shows the fertility rate in Japan from 2007 to 2016. The fertility rate is the average number of children born by one woman while being of child-bearing age. In 2016, the fertility rate among Japan's population was 1.44 children per woman. Everything On "Demographics of Japan" in One Document: Edited and Divided into Handy Chapters. Including Detailed References.